This resort-style home in highly desirable Mission Grove North Community is a must see! TURN KEY home has new FULL SOLAR (100% homeowner-owned & under warranty), double-pane windows, energy-efficient LED-CFL lights, & a new high-efficiency variable-speed Lenox HVAC (under warranty) that gives you the best in climate-controlled indoor comfort (without the noise of cheaper models). With all these energy-efficiency upgrades, PRIOR ELECTRIC BILLS OF $5,000 A YEAR ÃƒÂ¢Ã¢â€šÂ¬Ã¢â‚¬Å“ now nearly zero! The home is closely locat This resort-style home in highly desirable Mission Grove North Community is a must see! TURN KEY home has new FULL SOLAR (100% homeowner-owned & under warranty), double-pane windows, energy-efficient LED-CFL lights, & a new high-efficiency variable-speed Lenox HVAC (under warranty) that gives you the best in climate-controlled indoor comfort (without the noise of cheaper models). With all these energy-efficiency upgrades, PRIOR ELECTRIC BILLS OF $5,000 A YEAR ÃƒÂ¢Ã¢â€šÂ¬Ã¢â‚¬Å“ now nearly zero! 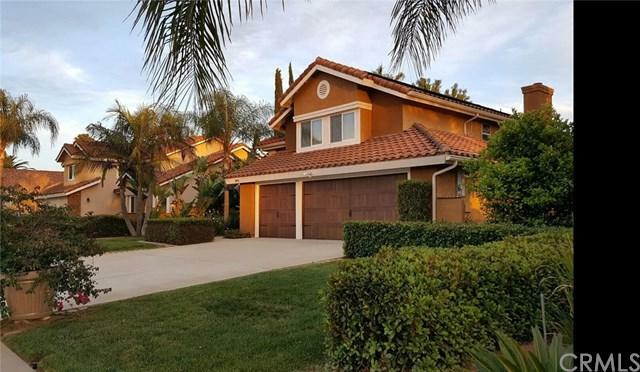 The home is closely located to Canyon Crest Town Center, UCR & downtown; walking distance to various shopping, eating & entertainment options at nearby Mission Grove Center; and a short jaunt to scenic Sycamore Canyon Wilderness Park. In whatever way you want to enjoy your new home, itÃƒÂ¢Ã¢â€šÂ¬Ã¢â€žÂ¢s a ÃƒÂ¢Ã¢â€šÂ¬Ã…â€œhop, skip, and a jumpÃƒÂ¢Ã¢â€šÂ¬Ã‚Â to the best Riverside has to offer! The homeÃƒÂ¢Ã¢â€šÂ¬Ã¢â€žÂ¢s designer color-pallet showcases 3 bedrooms upstairs and 1 convenient bedroom DOWNSTAIRS, upgrades include handcrafted inlay hardwood floors, new carpet, a wet bar for entertaining, new custom garage doors, lighting, new bathroom tile work, gourmet kitchen with granite counter tops, and family room with fireplace. Outdoors, enjoy a beautiful mature, quiet tropical garden, salt-water pool and spa. Hawaii has never felt so close to Riverside. Sit under a large pergola with a glass of wine in this Asian-inspired garden & feel your stress melt away. Don't miss this highly upgraded home. YouÃƒÂ¢Ã¢â€šÂ¬Ã¢â€žÂ¢ll be hard-pressed to find a better home in this price range. Listing provided courtesy of Coldwell Banker Blackstone Re. Listing information © 2019 San Diego MLS, Inc.